Matt Dyer of Leaseplan has been confirmed as the new chairman of the British Vehicle Rental Leasing Association (BVRLA). 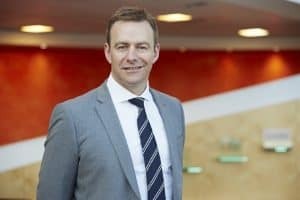 He replaces Hitachi Capital’s Simon Oliphant, who has stepped down to become vice-chairman after leading the group for the past two years. Mr Dyer’s appointment as BVRLA boss came into effect following the association’s annual general meeting on Thursday 18th May. His main responsibility as BVRLA chairman will be to lead the group’s Committee of Management – essentially its board of directors – which has also gained one more appointee: Ian Tillbrook, fleet director at VW Financial Services, now chair of the BVRLA’s Leasing and Fleet Management Committee. Mr Dyer said it was an honour to be in a position to drive positive change within the industry.